What a hectic evening! 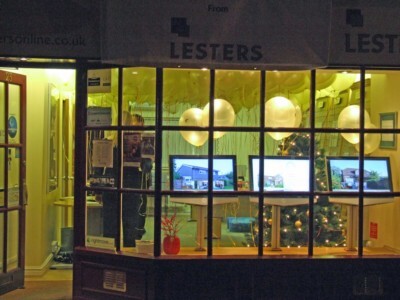 It was really good to see so many people through the door last night on the medieval evening and hundreds of Lesters balloons around the town The drink finally ran at 9pm but it was great to see so many customers old and new and local people just coming in for a glass of mulled wine. We will have the result of the `Guess the house prices` competition posted shortly and the winner will receive a voucher for a meal for two at `Fornivivo` in town. A short reminder that Santa Claus will be here next Saturday all day when the office will be transformed into his grotto! With a range of activities including a raffle and face painting. A small donation of £2.00 to meet Santa includes a toy which has been generously provided by `Youngsters` in Wallingford. All monies received go to Paddocks Preschool in Wallingford a registered charity.